Driving Lessons for a 1st time Pass. Are You Frustrated With Your Lack of Progress Or Struggling To Get Lessons on a Regular Basis? "Learning to drive can be a very frustrating experience and you can waste hundreds of pounds if your tuition is not effective. Do you ever get to the end of your lessons and feel that you haven't actually learnt anything, the reality is - that you probably haven't. The Driver & Vehicle Standards Agency is very clear, as to the procedure driving instructors should follow when conducting lessons. This is to make sure that 'you' the customer are getting the maximum benefit from your lessons". "I was originally learning with an independent instructor and failed twice." " My driving instructor was extremely enthusiastic and enabled me to gain more confidence and trust myself. It was such a different experience to my old instructor's methods. I would definitely recommend Kelvin White driving school to my friends. I loved the feedback sheets which you go through and the way you are coaxed through situations and the way they gave me belief that I could do it. Thank you so much. After failing my second test, I felt it just wasn't meant to be, but a few months down the line, with thanks to Adrian and Kelvin White driving school I can now drive!" 9 Procedures Your Driving Instructor Should Be Following. Does your driving instructor arrive on time for a least 90% of your lessons? Does your driving instructor always recap the previous lesson to agree strengths and weaknesses? Does your driving instructor always state firm lesson objectives as to what you will be attempting to learn during the current lesson and exactly what you will be trying to achieve? It's vital that every lesson has a very clear objective or you will be quite simply 'driving around' and wasting your money. Does your instructor teach in a non - confrontational manner or shout and complain when you make mistakes? 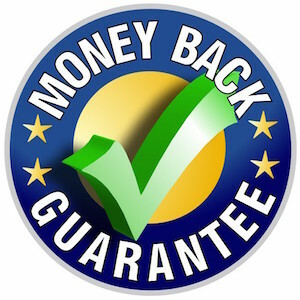 You will benefit from two hour lessons and a regular weekly slot to ensure you get the best possible value for your money and continuity to reduce your learning period. Does you driving instructor help to prevent mistakes by checking with you what you are about to do before you make the mistake or simply complain or offer negative feedback after the event? Does your driving instructor help and guide you with feedback and encouragement to build your confidence? Does your driving instructor analyse why mistakes were made and interact with you to find a solution to improve your understanding? Does your driving instructor praise you when you succeed in a task?, this is a very powerful learning tool. Does your driving instructor finish the lesson with a recap of what has been learnt and does he/she ask questions to check your understanding? (Statistics clearly show that what you discuss during the final five minutes of your lesson will stay with you and reinforce your learning, helping to reduce your learning period? How Many Boxes Would Your Current Instructor Tick? "I really enjoyed my lessons and I thought my driving instructors methods were excellent. I've had three instructors before and Pete was by far the best. I would definitely recommend Kelvin White driving school as they are excellent". Make the Change NOW and Make That Full Licence a Reality. 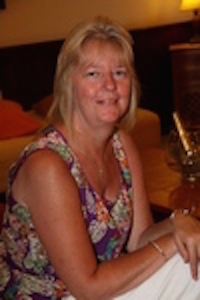 Sandra will be delighted to discuss your individual requirements and advise on instructor availability. To Return to Main Website, Click Here.